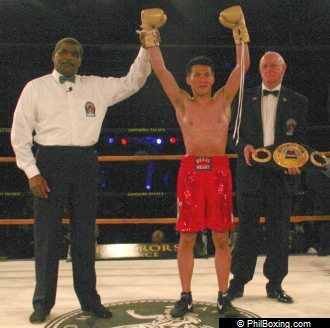 Congratulations to the new IBO super flyweight champion Edrin 'The Sting' Dapudong for knocking out South African Gideon Buthelezi in the first round at Buthelezi's backyard at Emperor's Palace, Kempton Park, Gauteng, South Africa on June 15, 2013. To be the one so dog preferred." Location: Somewhere in Pacific Island! We used to have lots of boxers fallen in South African soil. One of the factors is the extreme weather. Nice going with The Sting to win this one. "The Sting" Rocks South Africa! Congrats sa imo toto edrin! Bugal ka sang mga taga North Cotabato! Idol ko si Manny P. hindi si Pacquiao kundi si Manny Piñol! Your one source for over 20,000 Martial Arts, Boxing and Fitness items all at fair prices! We ship worldwide. In 1990, Koch Martial Arts started exclusively as a traditional Taekwondo school for children and adults in Newport, Oregon, United States. Over the years we expanded to three locations on the central Oregon coast and offered a variety of programs including Brazilian Jiu-Jitsu, Krav Maga, Kickboxing, Mixed Martial Arts and pre-school aged classes.